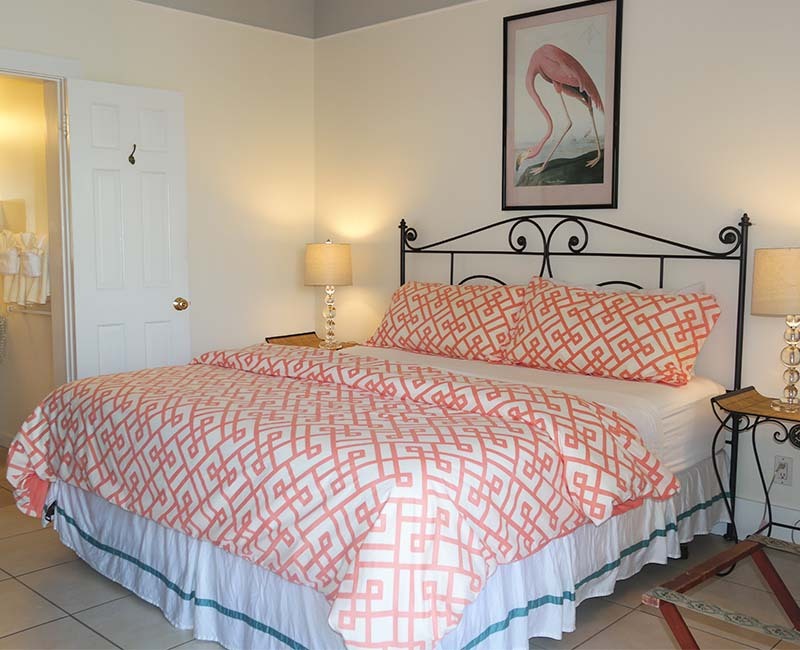 Heron House Court is where you’ll find affordable Key West rooms and suites. 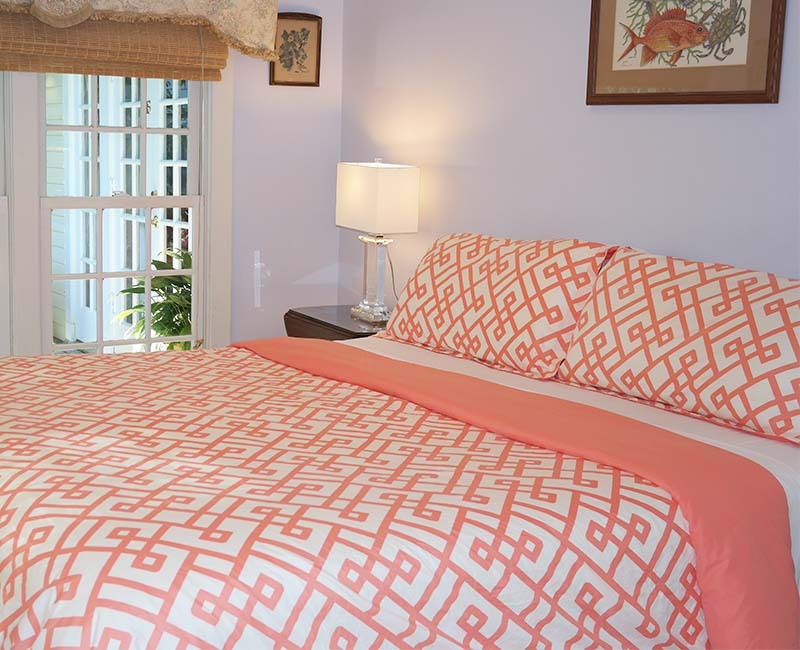 Each room is designed with the signature laidback island lifestyle of Key West and features handcrafted furniture, antiques, local artwork, and tropical fabrics that enhance the décor and give each room a sense of South Florida luxury. All rooms include a mini-fridge, flat-screen TV, porch or patio, iron and ironing board, hair dryer, and AC for your comfort. Rooms are designed for double occupancy only, ensuring a private, intimate atmosphere for your stay. 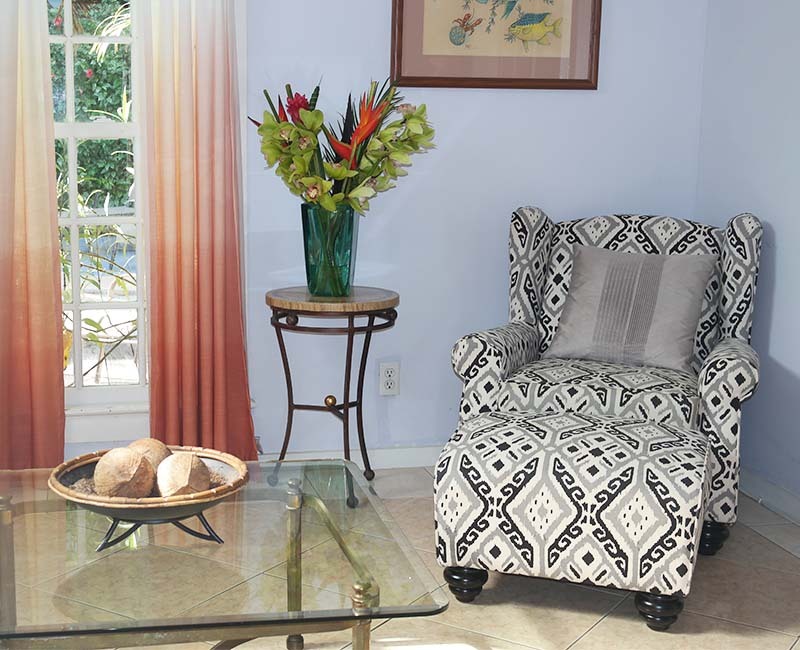 Open French doors to your beautiful home away from home in Key West—our Tropical Queen Room. These rooms are located on the first or second floor and feature a queen bed and private bathroom with standing shower. Enjoy more comfort and space in our Tropical King Room with its larger, more private interior rooms. These rooms are located on the first or second floor and feature king-size beds that are offer the perfect respite after your Key West adventures. Treat yourself to the ultimate luxury experience when you reserve our Tropical Suite. Enter through your private entrance to a spacious living room, where you can enjoy poolside views and easy access to the pool. In the separate bedroom, you’ll have a king-size bed and private bath with a tub and shower.